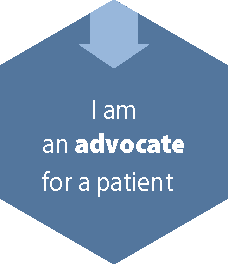 Being an advocate for a patient is a very important job, considering the patient’s Charter rights are at stake. Your primary role is to provide advocacy by representing the interests of your clients and presenting their case for discontinuing certification under the Mental Health Act. Here is the information that will be useful to you. The role and responsibilities of a patient representative is to provide advocacy by representing the interests of a patient and presenting the patient’s case for discontinuing detention under the Mental Health Act. The purpose of the Rules of Practice and Procedure is to provide a fair, just, accessible and understandable process for parties to proceeding before the Mental Health Review Board under the Mental Health Act. As a patient’s legal representative, the Board strongly encourages you to familiarize yourself with the Rules and contact the Board should you require any clarification about these rules. Most people in British Columbia requiring hospital treatment for mental disorders are voluntarily admitted to hospitals. A sizable number of people with serious mental disorders refuse to accept psychiatric treatment. Without involuntary admission and treatment made possible by the Mental Health Act, these seriously mentally ill people would continue to suffer, causing significant disruption and harm to their lives and the lives of others. With involuntary hospital admission and treatment, most people quickly improve to the point where they can continue as voluntary patients or resume their lives in the community. The vast majority of people involuntarily admitted are discharged within one month. The review panel hearing system is subject to the constitutional rights of section 7 of the Canadian Charter of Rights and Freedoms, which states that “[e]veryone has a right to life, liberty and security of the person and the right not to be deprived thereof except in accordance with the principles of fundamental justice”. The patient may be an involuntary patient, an involuntary patient on extended leave, or a voluntary patient under 16 years of age. The Mental Health Review Board requires that it operates at arm’s length from government. Legal Test – The Review Panel will determine whether the four criteria set out in sections 22(3)(a)(ii) and (c) of the Act continue to describe the patient’s condition. All four criteria must be met to continue the patient’s certification.